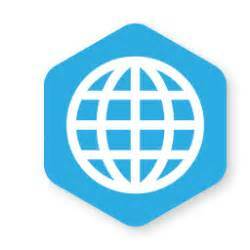 Paradise Stream Couples Resort - 3.5 Stars. Whirlpool Suites, breakfast, dinner, taxes, live entertainment, use of resort, tips included in inclusive rate. Horseback riding / Casino 1 mile. Skiing, waterparks 15 minutes. Hiking, biking, paddle boating, swimming on the resort. A fun, romantic place for couples of all ages to relax and get to know one another better or again! Immaculate, updated rustic cottages and cabins on a babbling brook. Outdoor pool, pond for paddle boating and fishing. Near a Poconos Best Restaurant, skiing, hiking, fishing, mini golf and other activities. Like having your own rustic vacation cabin in the woods on a mountain stream. Decks / BBQs. Kitchens with utensils, microwaves, coffee makers. Linens / towels included. 8 miles from Camelback and 10 from Mount Airy Casino. Rooms have free Wi-Fi, cable TV, microwave / fridge. Restaurant serves American cuisine and is open for breakfast and dinner. Business center, fitness center, and game room. Right off I-80. Worthington State Forest, Bushkill Falls are 20 miles. Couples like the location they rated it 8 for a two-person trip. 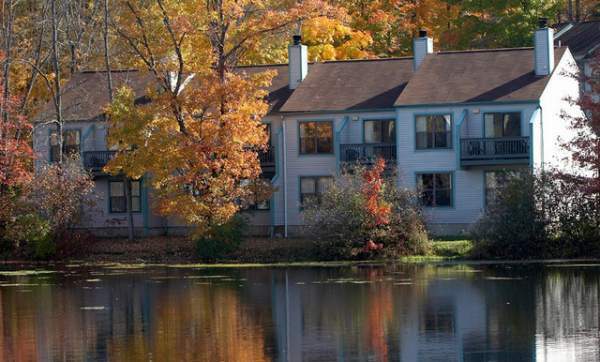 A family resort/hotel at the base of Camelback Mountain, near all Poconos activities and fun. Stunning views of Camelback Mountain / Ski Slopes and Big Pocono State Park. 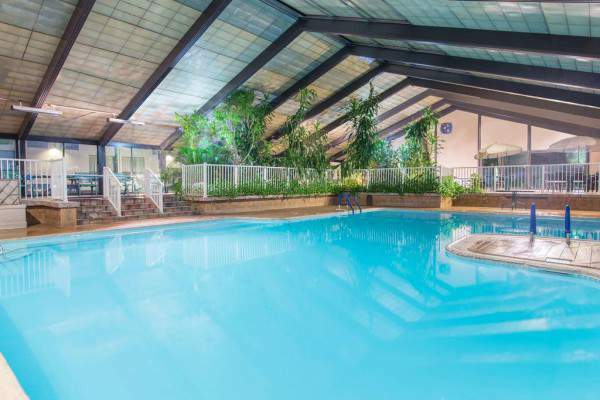 Indoor / outdoor pools, fitness center, whirlpool / sauna, spa services and free WiFi. Adjacent to Camelback Skiing, Camelbeach Waterpark and Camelback Adventures. Rooms and distinctive two level suites with loftsâ€¦ perfect for families. 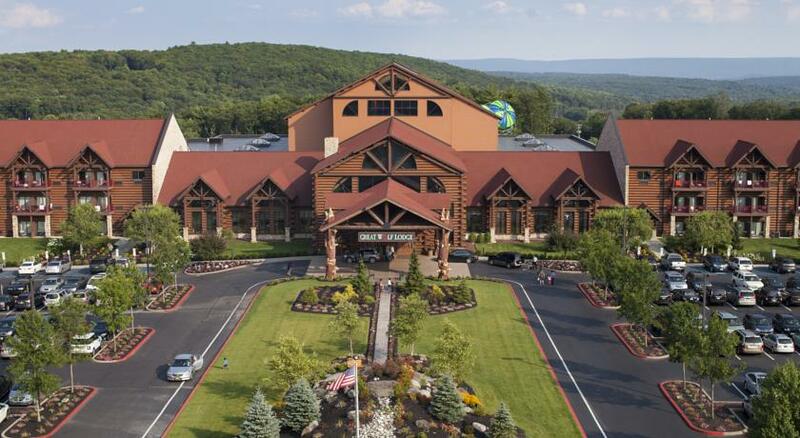 The best location in the Poconos, in the heart of it all. 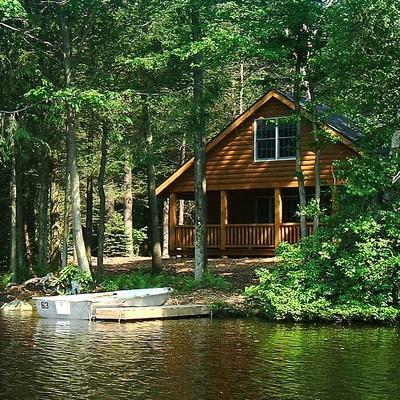 Lakefront and woodside air-conditioned cabins with kitchens around a picture perfect lake. Views of Camelback Mountain. 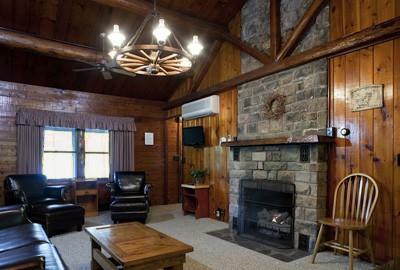 A perfect place for a family or couple's retreat in a relaxing wooded setting. Large and private 76 acre lake, beach area, complimentary rowboats in season. Plus: tennis, kids playgrounds, cross country skiing, fishing, country store. 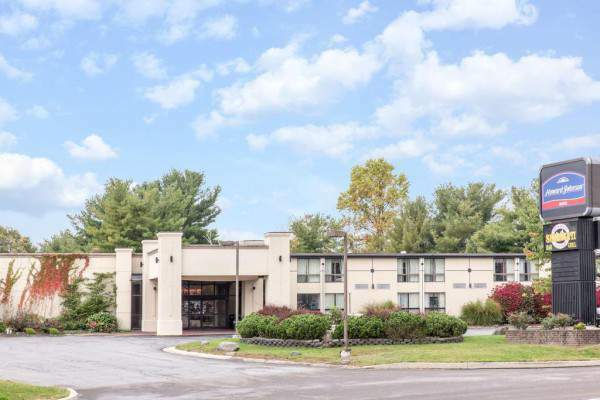 Center of the Poconos and 9 Min to Camelbeach Waterpark, Camelback Skiing, Horseback Riding, MT Airy Casino, many restaurants, the Crossings Outlets. 20 Min to Pocono Raceway. An enchanting stone chateau, on Huckleberry Mountain. An elegant Bed and Breakfast inn secluded and private, like a secret lookout in the mountains. Spacious with 4 star service. Like no other inn. A roof of imported Spanish slate, Leaded glass windows and interior wood of pecky cypress and cedar. An elegant arched entranceway and massive stone fireplaces and 40 foot vaulted ceiling in the Dining Room. Classical and Nouvelle French Cuisine. Candlelight dining, culinary expertise and pampering make each meal a memorable experience. Proper attire required. (Jackets for gentlemen). Restaurant is not suitable for children under the age of 12 years. Fernwood Resort, A Villa Stay For The Price Of A Hotel! 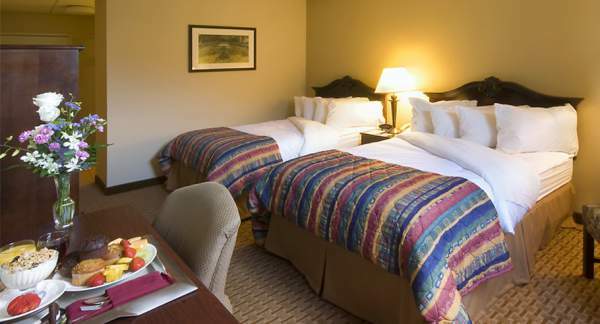 Equipped kitchens, private bedroom(s), Washer / Dryer, Wake Up Service, Linens, Shuttle, Cable TV. Access to Pocono Tree Ventures Tree Top Course, horse riding, Zip Lines, snow tubing, paintball, canoeing / kayaking, golf, restaurant, mini golf, indoor/outdoor pools, large game arcade, bumper boats, sauna, massage therapist and onsite fitness. 20 minutes to: indoor waterparks, Buskill Falls, Indian Museum, Snake and Animal Farm, airplane rides, Sky Diving, National Park Hiking, River rafting, both lake and river fishing, antiquing, outlet shipping, casino with slots and table games and over 115 restaurants. Great Wolf Indoor Waterpark Resort - The rustic decor suites feature balconies or patios. All suites have TVs and separate living areas with pull-out sofas, along with microwave, a small refrigerator and coffee machine. Some rooms have camping themes with bunk beds and a separate sleeping area for children. 4 restaurants, Starbucks, mini-golf on site. WiFi, parking, and access to the fitness center are included. Camelback Skiing less than 4 miles. Stay here for the most reasonable prices and nicest rooms while skiing or snow tubing at Camelback Mountain Resort less than 7 miles away. 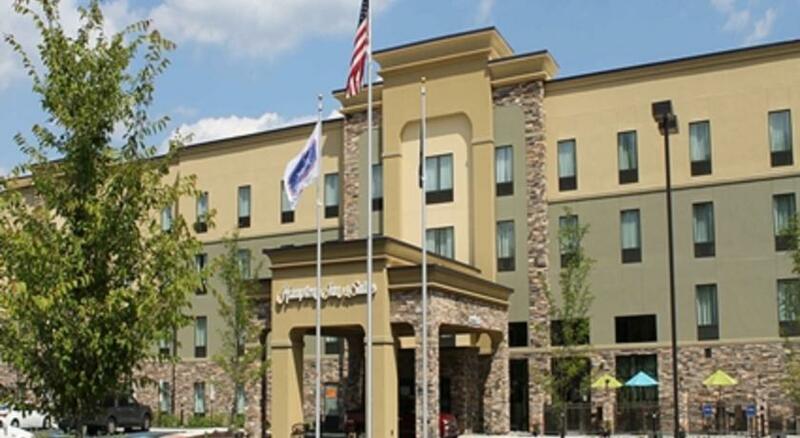 Conveniently located near over 30 restaurants including Longhorn, Red Lobster, Chili's, Reb Robin, Smuggler's Cove, Tannersville Inn and Steakhouse. 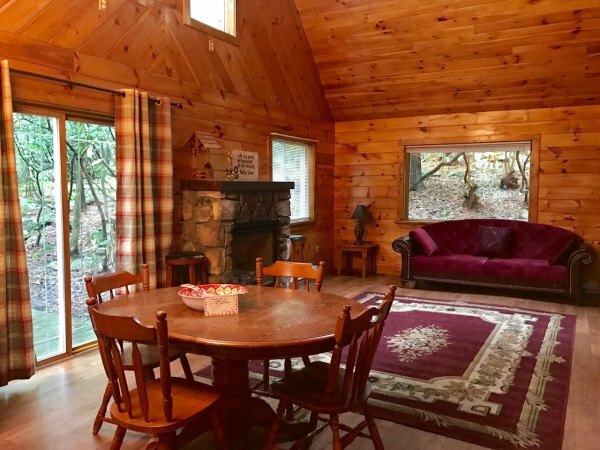 Why Visit, Vacation or Own a Second Home in the Poconos? The Poconos Mountains of Eastern Pennsylvania are the Summer, Winter, and Fall playground for the Mid Atlantic states. We get visitors from all of the surrounding states and Honeymooners from all across the United States. The "Land of Love" and a Playground for Family Fun in Northeastern PA. The Poconos are, indeed, One Big Amusement Park TM and the most popular mountain recreation destination of New York, Long Island, Philadelphia, New Jersey and Maryland. Romantic couples visit for the Couples and Honeymoon Resorts AND the outdoor activities centered around our rivers, lakes, streams and mountains. Indeed, two past US Presidents have visited for the great fly fishing in our streams and over 25,000,000 people every year come to relax, ski, canoe, kayak, antique, for festivals, auto races, family reunions and romantic couples retreats. Families visit 7 state parks, waterfalls and one of the most visited National Parks, water sports on lakes and rivers, hiking, hunting, birding and are popular. Couples come to hike, bike, renew and rejuvenate their love for one another and to relax or enjoy our outdoor activities like skiing or snowboarding. Stay in the center of the action for your family vacation or getaway. © PoconosHotels.com - All rights reserved 3076 Valhalla View, East - Stroudsburg, PA 18301. 800-805-3559 - In the Poconos.